If you’re eating breakfast, you might want to put this column on the backburner until you’re done. Who is your favorite superhero? Superman? Batman? Black Panther? Captain America? Mine is a bit different, and it’s a close race, but Dracula beats out Genghis Khan for my favorite. 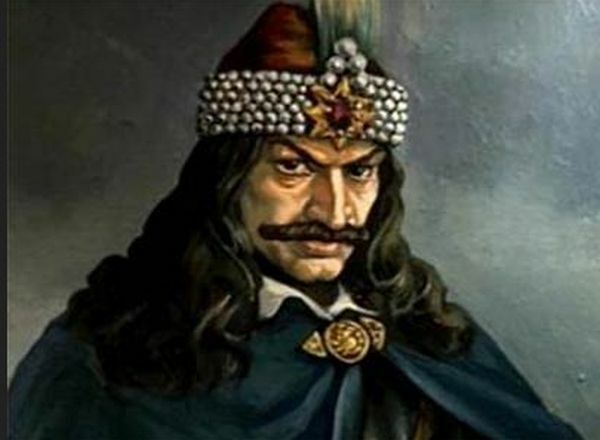 Dracula was actually Vlad The Impaler, and he was real, not fictitious, but he was a bad dude. He’s as bad a dude as there ever was in history. Protecting one’s turf requires ingenuity. Border walls can be tough to enforce. Vlad protected his homeland by putting bodies on spikes for the invading armies to see as they approached. The bodies were sometimes old, rotten corpses. It had to smell worse than bleu cheese. It was his shrewdness that I admire. If your knowledge of Vlad is a little weak, that can be forgiven because they don’t talk much about Vlad in school. But from books and movies, you know Vlad as Dracula. While Dracula is a mythological creature from Bram Stoker’s literary fantasies, it was Vlad’s name back in the late 1470s. Dracula comes from his father’s admission into The Order Of The Dragons, a Christian organization that fought the Turks (Muslims). Vlad’s formative years were in the captivity of the Turks, where as a young man he learned much, including warfare. Apparently psychological warfare was his speciality. The “Impaler” moniker comes from Vlad’s enjoyment of impaling people. A particularly gruesome type of torture, impaling involves a long dull spear that is positioned in such a way that it slowly impales the victim, horizontally or vertically. I won’t go into details as this is a family newspaper, but the spear was dull so that it didn’t kill quickly, instead it slowly pushed internal organs aside. People could survive for a few days as the spear was slowly and methodically inched further and further in. He even impaled a donkey that brayed too much after he impaled the monks who owned the donkey. He also had a cauldron with a lid that had a hole just big enough for a human head. He would bind a person with rope and put them in the cauldron, then light a fire under it. The story is that the person being cooked would scream unrelentingly until they expired. Vlad was all about discipline. He was also into putting heads on spikes as a warning to others. In 1462, Vlad put some 20,000 corpses on spikes on the roads leading into Wallachia, his protectorate. The invading Ottoman army fled at the sight. Now that’s a quick way to end a war. While there is no written proof, it is said that the invading general thought so highly of Vlad for that stunt that he ordered his army to leave as a sign of respect. Or he was scared to death. I’m guessing the latter. Historical records put his impalements at somewhere around 100,000 people during his reign of terror/power. He used impalement and other torture to get adherence to his form of central government. It’s hard to govern a whole country and so putting a little fear into the masses seemed like the thing to do for Vlad. The area, generally called Transylvania, is mostly the southern part of Romania today. Vlad protected that area, and Moldavia (now Moldova), from Ottoman Empire invaders, so he is revered to this day in that part of the world. Movable type print setting had just been invented in the late 1400s, and Vlad’s exploits were a best seller. He is considered the first ‘best seller’ in European history as German and Russian authors wrote stories about Vlad that both created historical records and exaggerated his exploits. I have Romanian and Moldovan friends and when I joke about Vlad, they get very defensive. In their history, they have suffered numerous invasions for thousands of years, so Vlad was their hometown killer extraordinaire. He was ruthless to invaders, but he was a hero to the locals. Well, the ones that he didn’t impale for stealing. He really hated stealing. He’s alleged to have impaled a mother and her two breast feeding babies for her larcenous habits. As historical figures go, he’s as bad a dude as there ever was. Loved by the home folks, but feared by his enemies, he has a cult following to this day. His reign of terror inspired Bram Stoker to write his Dracula books and today movie makers still try to tell that story, although it’s been told many times before. It seems like Vlad will live forever in the annals of history. He’s my #1 superhero. Who is yours?